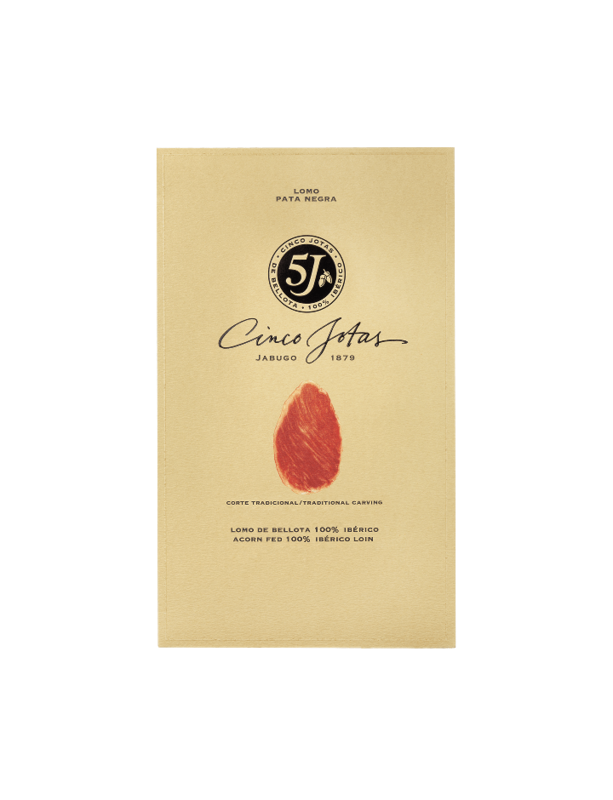 Cinco Jotas Acorn-fed 100% Ibérico Loin in packets of 80 g is one of he great delicacies of Cinco Jotas. Cinco Jotas Acorn-fed 100% Ibérico Loin is a cold meat cured and handcrafted in Jabugo. It’s derived from an entire piece of meat located in the lower back of the animal. Its known to have a powerful and fragrant aroma, a faint maroon and ash colour with a defined sheen, and a lightly peppery and smoky flavour.